Let’s grow herbs in a pot! Have you seen the price of fresh organic herbs in the grocery store lately? It is insane. Why buy a few cuttings when you can grow a nearly endless supply of your own fresh herbs? Herbs are pretty easy to grow and add wonderful fresh flavor, can be dehydrated and have medicinal uses in addition to culinary. When you have limited growing space, like we do, you need to add containers to increase it. I especially love to grow herbs in pots because they can so often take over my raised beds. 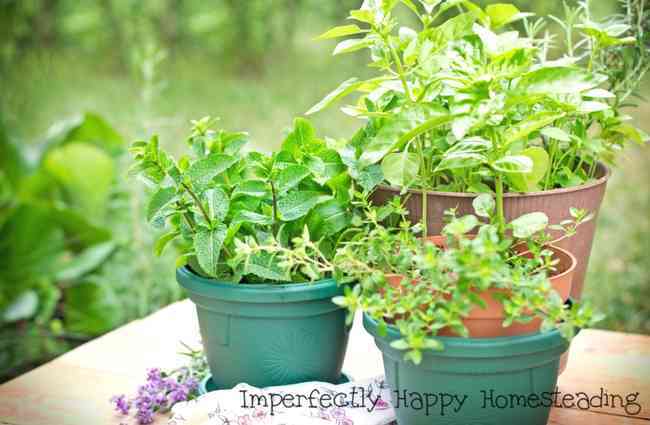 So today I bring you the 10 easiest herbs to grow in a pot. 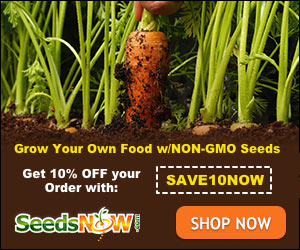 Put them in your garden, on your patio some some can be grown indoors (see this post on growing herbs indoors). I often see herbs grown in tiny containers but if you want a big, flourishing, plant give them at least a gallon or more. Consider adding mulch to your containers too. Greek basil, sweet Italian basil – great for so many dishes and medicinal uses. A healthy basil plant can give you half a cup of leaves every week during its peak season. Cilantro is probably my favorite culinary herb. Not only do I use it in my salsa and guacamole; I love it chopped up in salads too. Cilantro loves sunny areas and moist soil. Chives add flavor to potatoes, fish, salads and so much more! Make sure you place your chives in a sunny spot and offer them containers with good drainage. BONUS: If you leave them to long they’ll offer beautiful purple blossoms to enjoy. 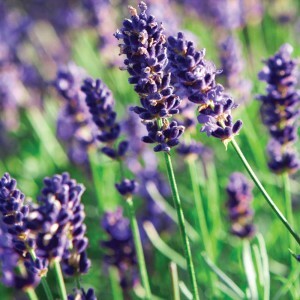 Not only is lavender a beautiful addition to your garden, it attracts bees to help you pollinate. Winner! You probably already know that lavender has many health benefits for us but did you know that your chickens can benefit from it? It can relax them and is great in nesting boxes. When growing your lavender, it prefers dryer soil and full sun. Lemon balm is very calming and can help to reduce anxiety, stress, help with insomnia, increase appetite and reduce pain. Did you know that lemon balm is part of the mint family? Make sure you place lemon balm in part-shade area and offer it good drainage. More Herbs to Grow in a Pot! There are so many varieties of mint that I won’t list them all here (can you say chocolate mint?). Mint is one of those herbs I will ONLY grow in a pot or separated container, because it can quickly takeover a bed. Mint is delicious but it also has many health benefits. Mint loves sun and water! Oregano is my husband’s favorite herb – he puts it on everything. I like it too but I love its medicinal uses as well. Oregano is a powerful antibiotic – you definitely need to do some research on both fresh oregano and oregano oil. Make sure your container is at least 12 inches in diameter to give your oregano plenty of space to spread out. Oregano loves the sun but if you’re in a particularly hot area, like me in Phoenix, you may need to offer it some afternoon shade. Parsley adds a more mild flavor than other herbs and it great cooked or put into a fresh salad. Parsley can grow well in partial shade, particularly in warmer climates. Rosemary is a better less than more herb because it packs a powerful flavor. I love it when I cook pot roast (see my recipe here). 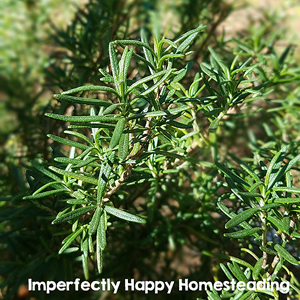 I have an entire article dedicated to growing rosemary so I won’t add a lot here. I often pair thyme with rosemary, they just compliment each other so well. But thyme is great on its own too – try it on your veggies and meats. Grow your thyme with really good drainage – it can’t stand over wet soil; and in full sun. 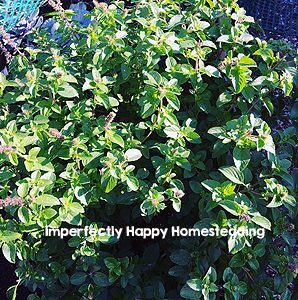 It really is one of the easiest herbs to grow in a pot.